A delicious one of a kind snack! Each bag is 1-3/4 oz. 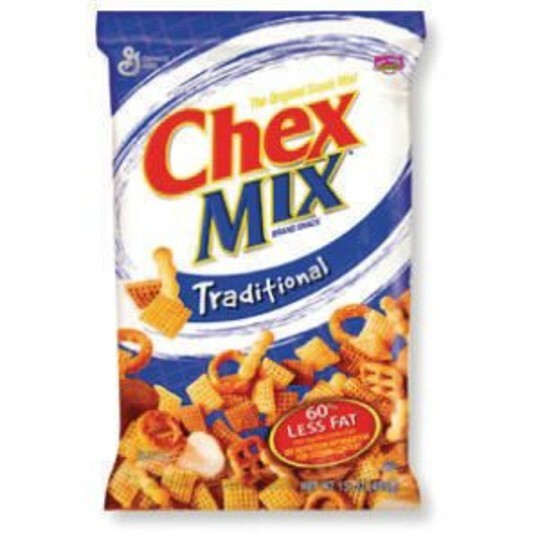 Chex Mix Traditional Flavor contains corn chex, wheat chex, pretzels and mini breadsticks combined with a unique seasoning blend for a delicious one of a kind snack. It's made with 60 percent less fat than potato chips making it a tradition worth keeping. Pack of 60 individual bags per pack. Each bag is 1-3/4 oz.